How do you program an Arduino using a Windows PC? This blog will tell how. But before we get into that, let’s take a look at what is an Arduino? 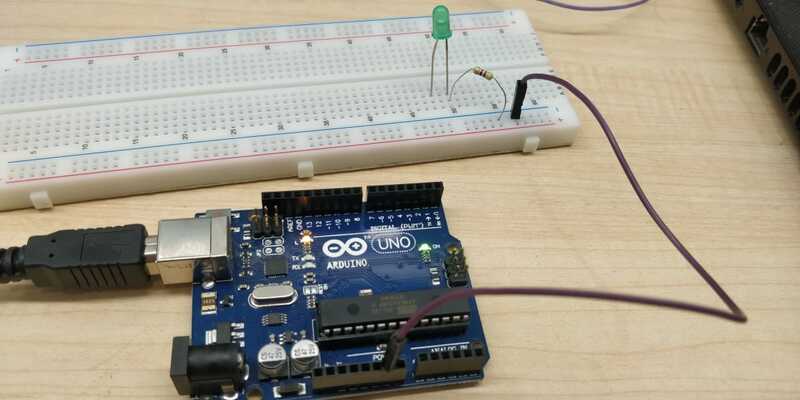 An Arduino is basically a single board microcontroller that is used for building digital devices and interactive objects that can sense and control objects in the physical and digital world. 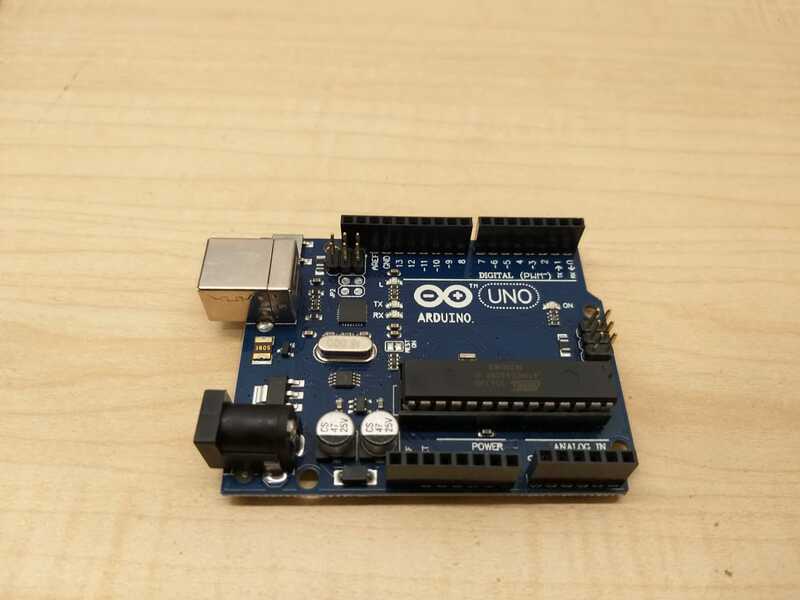 These Arduino boards are available both in preassembled form or as do-it-yourself (DIY) kits. Arduino board designs use a variety of microprocessors and controllers. The boards come fitted with sets of digital and analog input/output (I/O) pins that can be interfaced to several expansion boards or breadboards (shields) and other circuits. 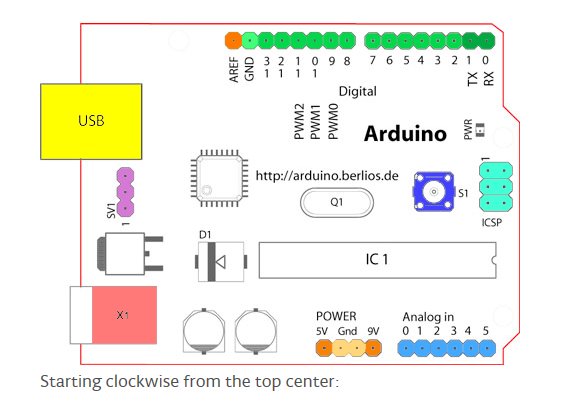 One of the biggest advantages that Arduino boards have over Raspberry Pi is the fact that they can read sensitive values from sensors and Arduino boards have analog input and output and not digital input output which is the case with Raspberry Pi. So in some instances where exact values are needed - say, if you want to measure the exact soil moisture, then Arduino is a better bet because it can read analog values as opposed to the Raspberry Pi which will need another chip to read analog values. Step 1: Get all the needed equipment in place. 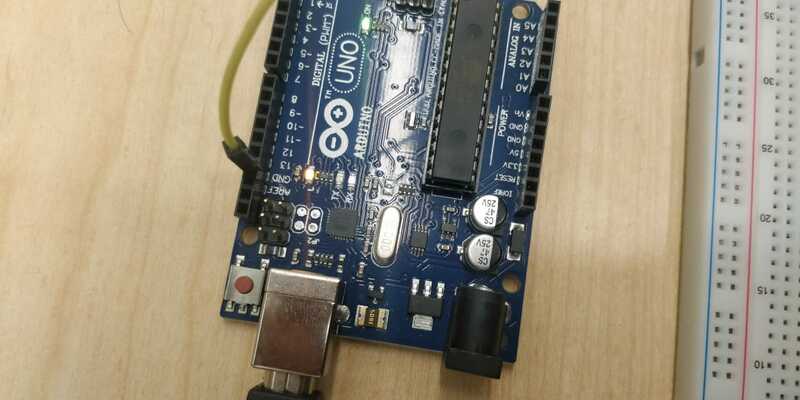 This means having with you the Arduino Uno board and the USB data cable that will help you connect the board to your Windows PC. You’ll also need a breadboard, jumper cables(M-M), an LED and a resistor (with a resistance of say, 330 Ohms). 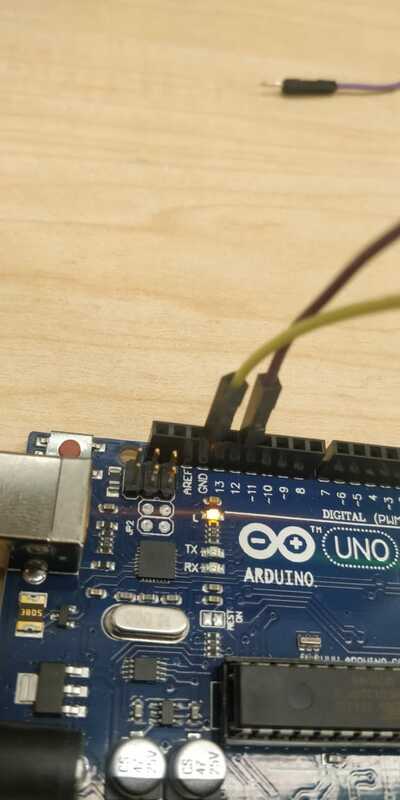 Step 2: Then start by connecting the narrow end of the USB data cable to your Arduino board as shown below. 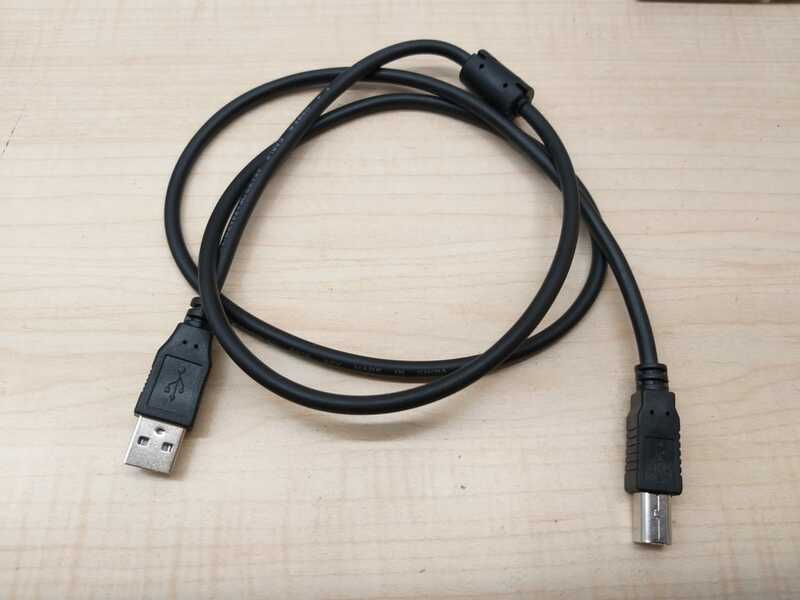 Step 3: Then connect the other end of the USB data cable to your Windows PC. 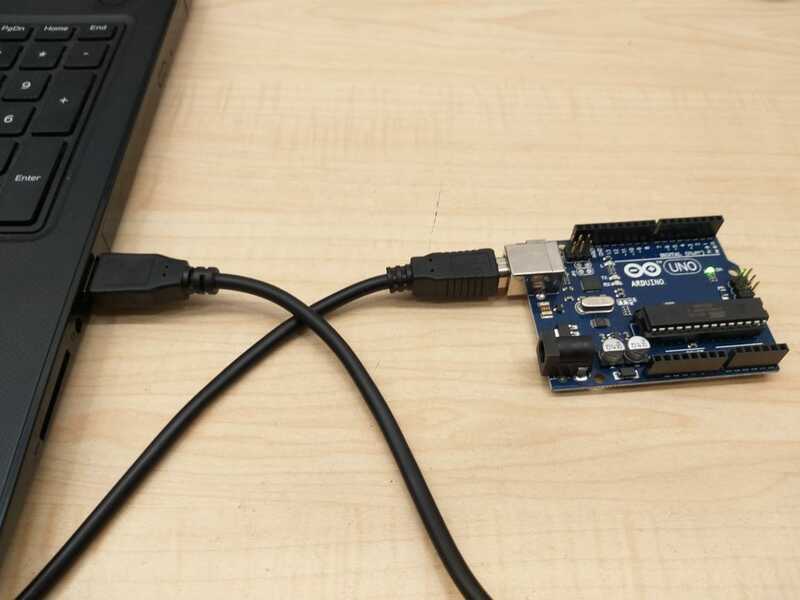 At this stage, your PC and the Arduino board have been connected to each other using the USB cable. The connections will look like it is shown in the image below. Step 4: Now go on to download the Arduino IDE on your Windows PC. To do this, just search for Arduino on Google. Now select the Arduino IDE link. On the right hand side, you can see the Windows OS Installer that we can use. There’s also the Mac OS X Installer. In this case, we choose the Windows Installer and complete the setup. That’s when it begins to download your computer. Once it downloads, one can run the Installer in the next step. Step 5: To install the IDE, we need to run the file that we just downloaded. Click on Agree and continue with the default settings for the rest of the installation. Once the installation is done, click on the close button to finish the installation. Now that we have downloaded and installed the Arduino IDE on our Windows PC, we can carry out a number of tasks using the Arduino IDE. This includes getting the board to say, “Hello World”, running the counter program and lighting an LED - all using the Arduino. Let’s look at what goes into writing our first program, the “Hello World” program. Let’s open the Arduino IDE that we have installed on the computer. Make sure you check the board name under the Tools option as Arduino Uno. Also make sure that the communication port is selected as COM3. Now to see the information sent by our Arduino, we have to open the serial monitor we see on the right. 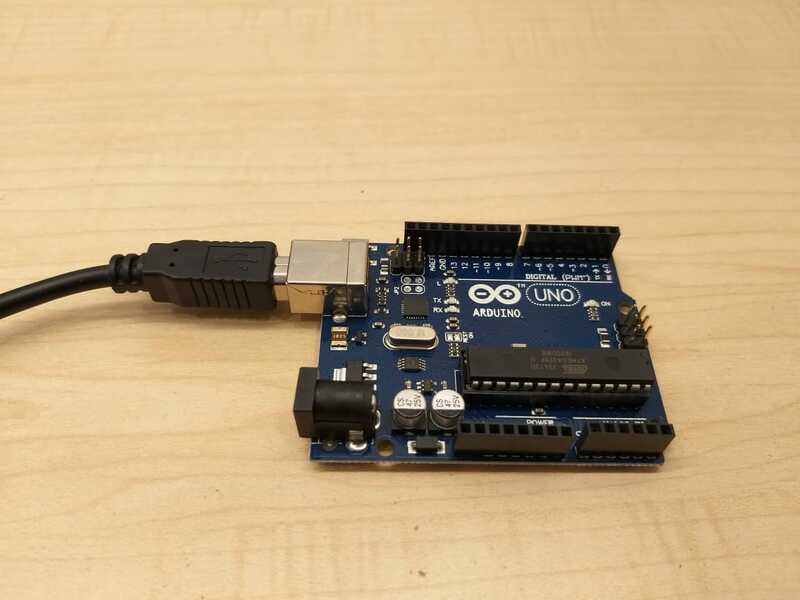 In the program, we start by putting Serial.begin 9600 in the void setup function which is the one-time setup required for exchanging information over the serial port from the Arduino to the computer. 9600 here is called the baud rate. It is the rate at which the Arduino can send symbols or characters to the computer. In the void loop function, we use a very simple serial.print to show data on the serial monitor. You can first save it and then upload the design onto the Arduino. You’ll then see that the words “Hello World!” are being sent by the Arduino to the computer and we can see the words on the serial monitor. You’ll see that the words “Hello” and “World” are appearing next to each other. However, if we use a \n in our print command, we will see the two words printed one below the other. Let’s take a look at the next program. We will design a simple counter by opening the Arduino IDE and the serial monitor. Let’s start by defining the counter variable. Here we say int <space> counter equals one and add a semicolon at the end. This initializes the value of the counter to 1 at the beginning. Now just like in the previous program, we initialize the serial connection. In the loop, we print the counter value and we also increase the value of the count by one. Here, we use the printIn function to automatically add a new line after having printed the value of the counter. Now this would be too fast and for us to understand what’s happening in the output, we add a delay and the argument is in milliseconds. So for a one second delay, we provide an argument of thousand to the delay function. Finally, increase the value of counter by one using the counter++ statement. Once we save and upload this design onto the Arduino, we will be able to see that a counter variable is constantly being increased in value and this value is being communicated to the computer over the serial connection. Now the next program we will be working on is blinking the Arduino’s inbuilt LED. You can see that right next to pin number 13 among the digital pins, there’s an LED which is orange in colour. We will learn how to make it blink once every second. And just like we do with the Raspberry Pi, we will start by initializing the pin to be an output so we can control its values. 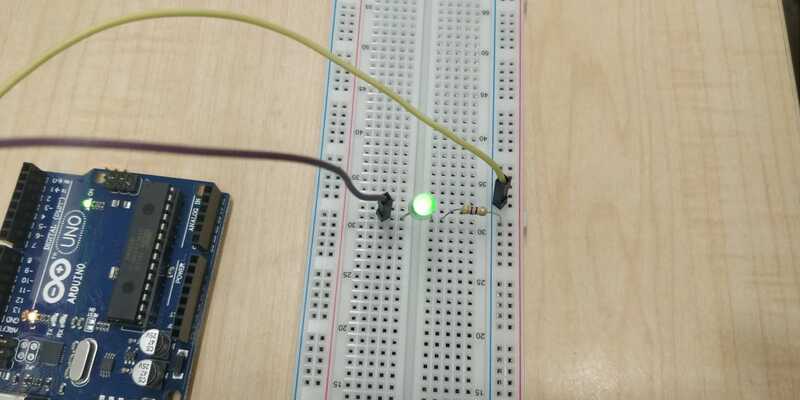 Here we say pinMode and we say 13 which is the pin for the inbuilt LED and we set it as an output so that we can send values of high or low. We then begin our loop function by setting value of the 13 pin to 1 (or high). We do this by using the DigitalWrite function. We then add a delay of one second and then we set the value of the 13 pin as low. Don’t forget to add a delay after turning it low. Now when you run the code, you should be able to see the light next to the pin number 13 blink. Here we will see how one can write the program that allows the Arduino to make an LED on the breadboard blink once every one second. Just like in the previous case, we will set values and this time, we will choose pin number 12 and we will set it as an output. So we type the pinMode, 12, output. In the void loop, we use the serial to communicate messages from the Arduino to the computer. We use the DigitalWrite function to turn the pin on or set it to high. Then we add the delay of one second. In the same fashion, we will turn the pin off by using the DigitalWrite function. Similarly, we can add a message and a delay so that we see the output very clearly. Next you can save and upload this. Go to your Arduino, make sure you have the serial monitor open so you can see the output. Now this code seems to work as it prints LED high and LED low every one second. 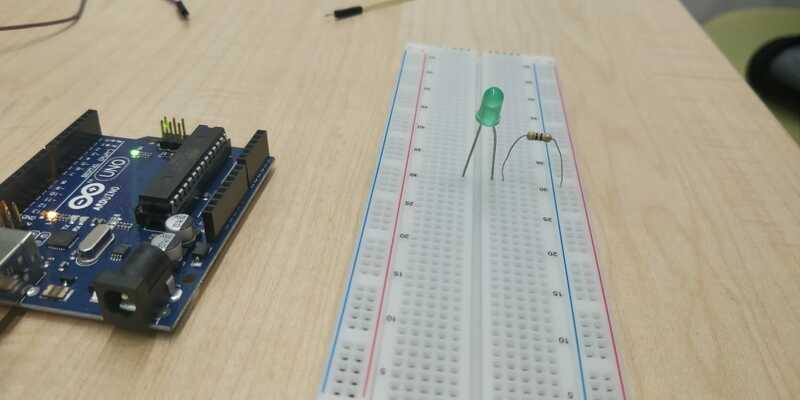 At this stage, we need to make an LED circuit on the breadboard and connect it to the Arduino to see the actual result. 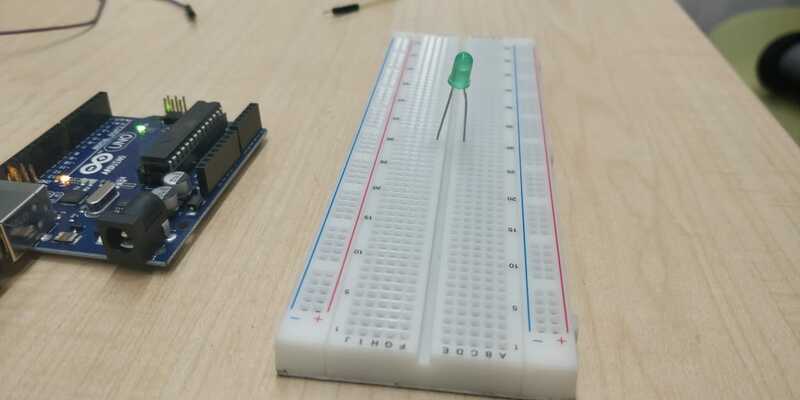 Now we will explore the connections to be made on the breadboard so as to make an LED blink from the Arduino. Just like with Raspberry Pi, we set up the LED first. We place the LED on the breadboard across the middle separation. Then we add a resistor (say with a resistance in the range of 220 to 600 ohms). 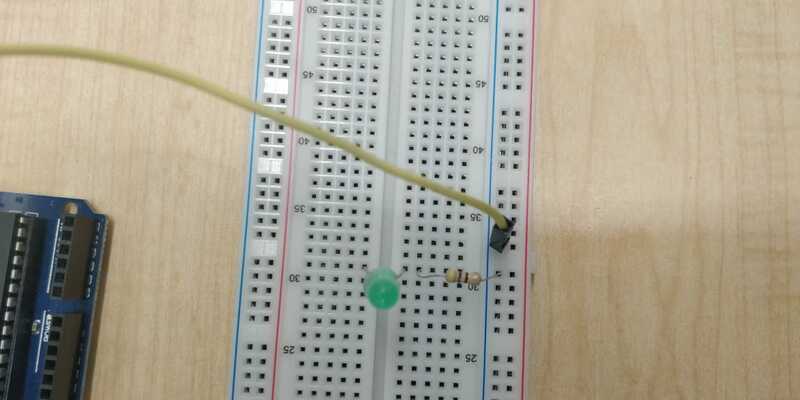 We place one end of the resistor on the same line as the LED. Now we connect the resistor’s other end to the railing for the Ground. We use a wire to connect it to the Ground pin on the Arduino. The closeup of the Arduino after the connections have been made will look like this. We then connect the other end of the LED to the pin number 12 which we are programming for. The closeup of the breadboard after the connections have been made will look like this. Since the program is already on the Arduino, we should immediately be able to see the light blink.